Water proofing is done on the floor of bathroom before applying floor tiles & and on the side of the wall upto 6 inches form floor. It has to be done as we are regular using water and due to some cracks in walls or slabs there are chance of water leakage on lower floor. A chemical is applied. 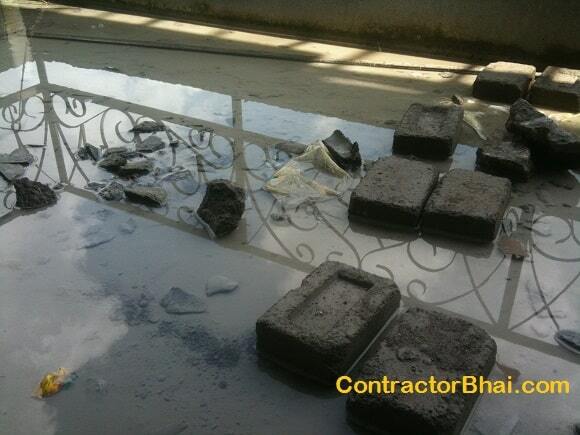 After water proofing treatment is done leave it for 2 days to get proper set on floor.